Grant managers have traditionally relied on grantee impact reports for accountability and oversight. But there’s a missed opportunity here. Learn how you can structure your grant reporting process to offer rich learning opportunities, greater collaboration, and actionable insights to improve your program year after year. 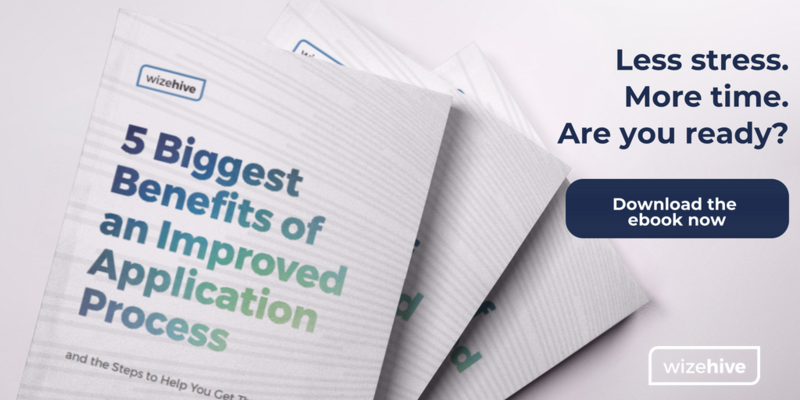 The Center for Effective Philanthropy reported that 82 percent of grantmakers find it challenging to create evaluation materials that result in useful findings. Echoing this sentiment, a recent nationwide survey of grants management professionals found that 31% were not confident they could evaluate program impact of their grant funds at all. So, what should we take away from this? Rather than throw the concept of impact out the window, grant managers need to work more closely with grantees to redefine impact. What measurements are feasible? What really matters to the communities being served? An open dialogue is the best way to discover the answers. Fortunately, we can lean on forward-thinking foundations to guide the way toward better impact reporting. We’ve gathered some ideas from across the grantmaking landscape to help you advance your organization’s mission. Ready to get more insights from your grant impact assessments? Let’s dispel the notion that onerous reports are the price a grantee must pay for receiving the grant. They’re not. Everything a funder requires in the impact report should have a clear and articulated purpose - and you should share that with the grantee. This creates respectful transparency. It can also open the door for suggestions on how best to communicate their impact. For the questions you’ll keep, identify where it will be used. It’s helpful to identify core areas such as accountability, public relations, or strategic learning. Taking the steps above will help your grantees understand the “why” behind your reporting questions. However, it’s also important to demonstrate that your organization values their insights and relies on them to improve future grant opportunities. The key is to communicate with the client about this intent and set the expectation. For example, as part of the reporting requirements, you could ask the grantee to write a blog post for your organization that summarizes what they learned as they completed the grant project. Or perhaps when you ask for specific statistics, you explain that they’ll be used for an infographic that shows the impact of their type of program. You might require that they join a panel session for a local conference after their grant cycle. All of these tasks will produce a different mindset. You’re not just collecting data, you’re asking them to process what happened and how the entire field could benefit. Communicate that impact reporting is meant to be a learning opportunity for both parties. Think about a part of your report that you could repurpose into a useful exercise for the grantee to reflect on what they learned. When you have multiple grant programs, you’ll quickly see from the first exercise above that some questions just don’t work in every context. They might be overkill, outdated, or irrelevant. While there’s something to be said for consistency, especially when you’re doing data analysis, this should be balanced with a realistic expectation for variation in your programs. When your reporting requirements better match the grantee’s work, you’ll get a clearer picture of their impact and reduce unnecessary confusion. Identify which questions you need from all grant programs to create aggregate statistics across your entire grant portfolio. Consider if you need to cut back on reporting requirements for smaller grants or those provided to organizations with limited staff. Grant managers often get stuck in the financials/narrative format. And while ditching written reports altogether is a major departure from what most grantmakers do, the Whitman Institute offers an interesting model. They structure their inquiry around two to three core questions, such as “what have you learned and how are you incorporating what you’ve learned into your work going forward?” Their focus is on learning, rather than accountability. Even if your foundation isn’t quite ready to take the leap, you might consider how to incorporate more conversations into your reporting process. Peak Insight Journal offers some fresh ideas for ways to gain valuable insights from grantees, while also building relationships that foster honesty. Are there any aspects of your reporting process that you could replace with conversations - video chats or in-person meetings? Do you incorporate enough questions that delve into what they learned? Or is your report skewed toward accountability? Many grantees feel like their impact assessments fall into a black hole. They submit the report (after many hours of effort) and they don’t hear anything in return. It’s easy to see why most grantees don’t associate grant reports with learning. Instead of a single formal report at the end of the grant cycle, grant managers should encourage open communication. By doing so, program staff will have more opportunities to learn about their grantees’ challenges in real-time and provide strategic guidance. Grants management software is an easy way to keep these communications in one place. A customized solution can help grant managers organize the incoming information into reports, so the valuable insights aren’t lost in an email or attachment. By putting these strategies into practice, your organization can have a grant evaluation process that’s focused, useful, and builds lasting relationships with your grantee partners.